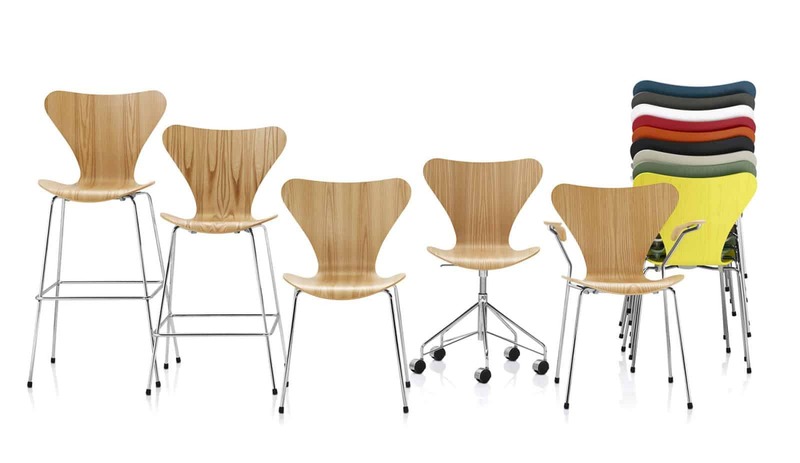 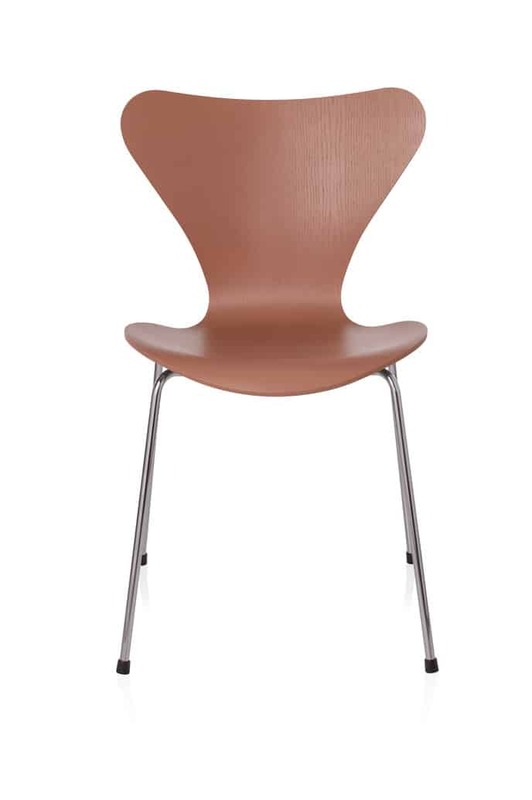 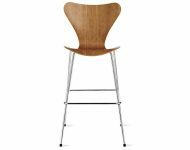 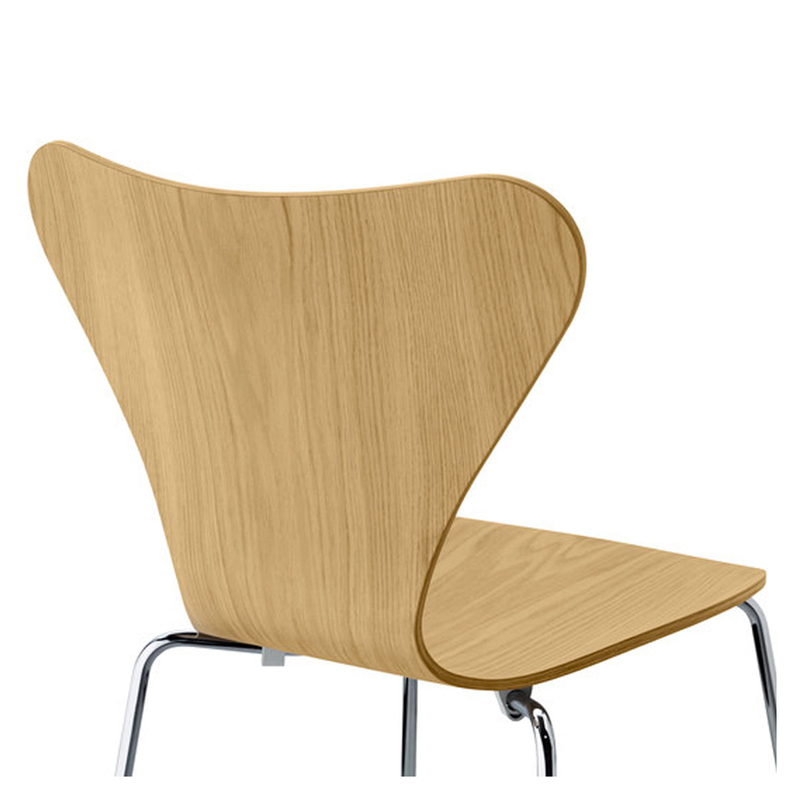 The Series 7 Side Chair features Metal base and Wooden shell. 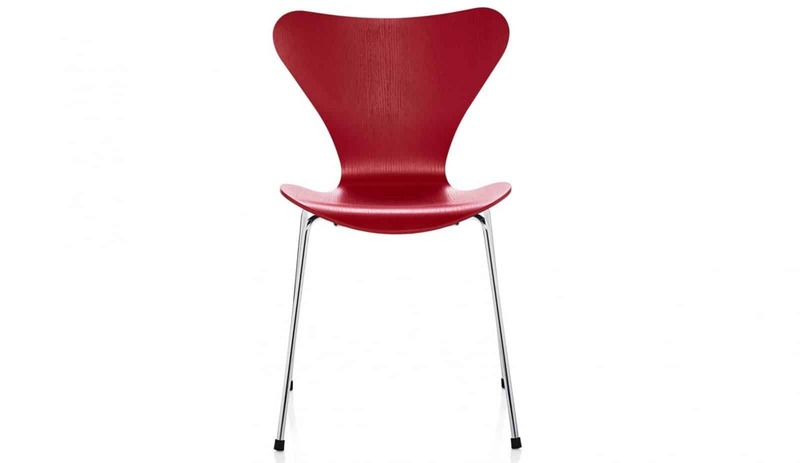 Base available as Chromed or Powder Coated. 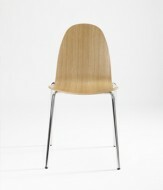 Shell available in natural Wood colours or Lacquered.